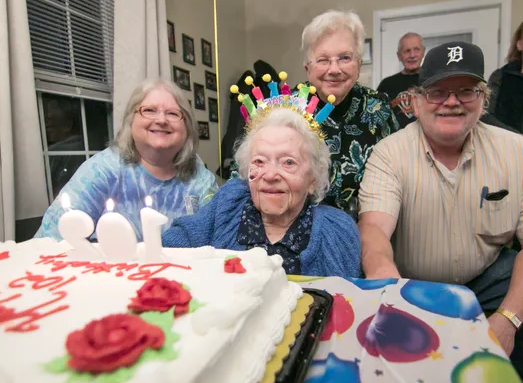 Cecilia Spalding smiled, blue eyes twinkling and feet tapping, as she was serenaded at her 102nd birthday party, celebrated four days early Jan. 15. The last of those is part of Spalding’s philosophy on living a good life. Cecilia Spalding, nee Kuchta, was born Jan. 19, 1917. It was a year the United States would declare war on Germany and entered World War I, women won the right to vote in New York state, Puerto Ricans were granted U.S. citizenship and the year President John F. Kennedy was born.